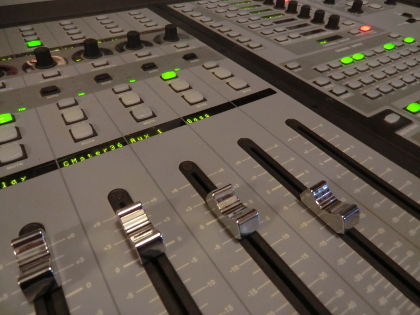 The C.A.L.Sonic offers professional assistance in all areas of audio production for Series, Features and Documentaries, AudioBooks and Corporate Media: Voice- and Soundrecording, Editing and Sounddesign, Mixing and Mastering, Music Production. Since the early 90s I have dedicated myself to composition, primarily for film and television. In 1994, I established the project studio „The C.A.L.SONIC│Music & Sound for Pictures“, which enabled me to handle assignments largely autonomously. As a result I have produced a broad spectrum of highly diverse projects, including video editing and DVD authoring. One of the more significant productions that I have worked on as a composer (“Ruudi”/Estonia) has been honored with various international awards. Because of the close interdependency of music and sound, I have consistently worked in Sound Design (also Location Recording) and above all in (Final-) Mixing for highly diverse formats, mainly on ProTools and Logic, occasionally with Nuendo and Samplitude, in addition to many other processing programs. For video editing I use Final Cut Pro and Adobe Premiere. Profound knowledge of all musical genres and technical know-how. 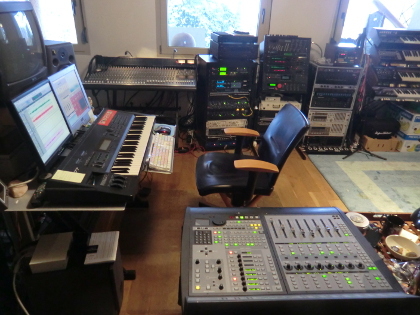 ProTools MIX³ with ProControl – 64 digital tracks, fully automatable Total Recall-Audio Editing System, various Synthesizers, Steinway, High End Microphones, library of voice-overs. My scorings, musically as well as Sound- and Foley Editing including Mixing and Sound Design, involve Documentaries, Advertisements and Feature Films. Furthermore Corporate Identity, interdisciplinary projects, also Audio Books and Music Production. From classical score (University education) to dynamic electronic music – I can offer any musical style. The project studio C.A.L.Sonic is designed to accomplish the essential stages of film composition in an ideal way, without unnecessarily wasting of time. Here, compositions are created for film, television and radio broadcast – these can be of varied nature: a catchy jingle or atuned to an advertisement, entertaining stage music or thrilling film music – the needs of the client define the course. Highly diverse compositional forms can be produced – classical music, Jazz, Experimental from Sci-Fi, Rock and Pop to current DanceFloor. Moreover, sub-areas can be covered without relying on outside help – recordings in a controlled surrounding are just as possible as are music productions up to a certain extent. Intelligent sound design can enhance the impact of your product significantly, and we can provide the appropriate acoustical background for your website. 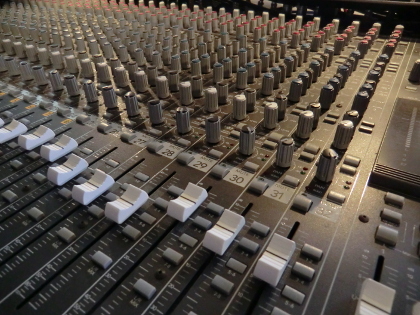 As needed, our voice-over library can provide the right speaker or musical artist for your production.